Do you have a favorite kitchen essential? Something you can’t live without? Today I want to talk to you about one of my most important kitchen essentials. This is the one thing I need to make sure I have in my kitchen at all times and if I don’t there are major tears. My most important kitchen tool – Paper towels. I go through paper towels more than any other household product. Probably because I use them for everything. 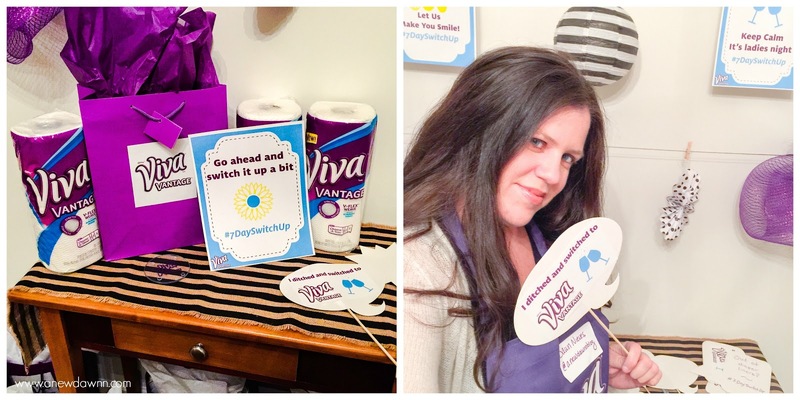 So I’m thrilled to be partnering with Viva® Vantage® for today’s post. They’re my right hand for cleaning up messes, spills, wiping dirty faces, drying dishes and so many more things. I tried giving up paper towels and thought using reusable bar towels would be my answer. That last about two days before I was sending my hubby out to the store for the biggest pack of paper towels he could find. Being the paper towel connoisseur I am, I’ve tried just about every brand out there. There are some that get the job done and there are others that I’ll never buy again. Until last week, I didn’t think I could fall in love with a paper towel but I’m here to tell you it’s happened and my kitchen life has been forever changed. 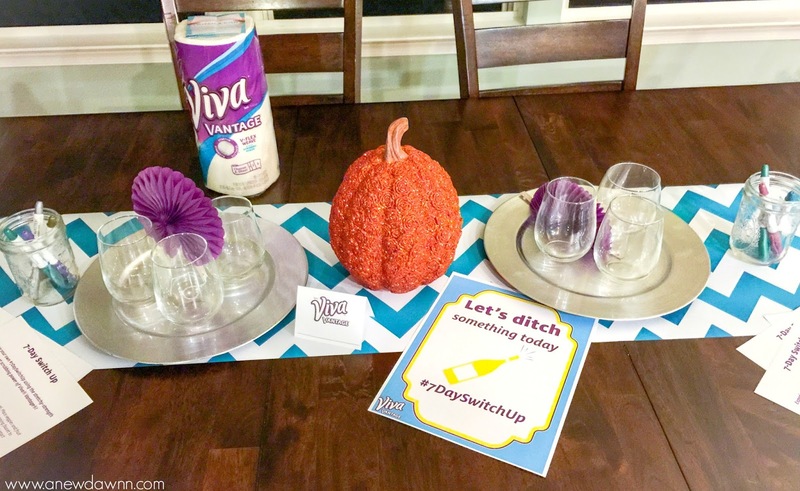 Last week I attended the Viva® Vantage® “7-Day Switch Up” Party with some fellow blogging friends. After a few minutes, I quickly learned why Viva® Vantage® was recently named a 2015 Product of the Year. We spent the night getting to know Viva® Vantage® with hands-on demos so we could see first hand how the product works. We cleaned and decorated wine glasses, scrubbed mushrooms and even washed a bunch of grapes under running water without breaking through. I left the party thrilled with how well they worked and couldn’t wait to finish the switch at home. Typically on a given week, I go through about two rolls of paper towels. Simply because my old brand would break apart under the water or when I was scrubbing a pan so I’d have to grab a few more. 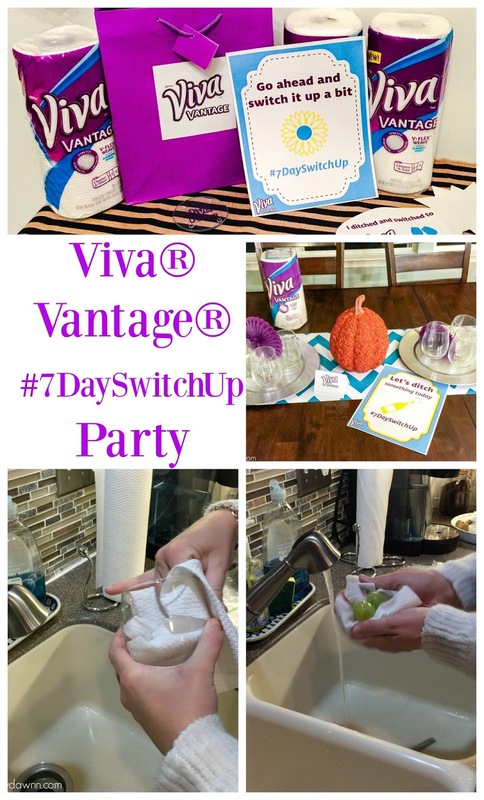 With Viva® Vantage® I was so surprised that I only had to use one towel to clean my dirty pan or one to dry my wet counter after I did the dishes. 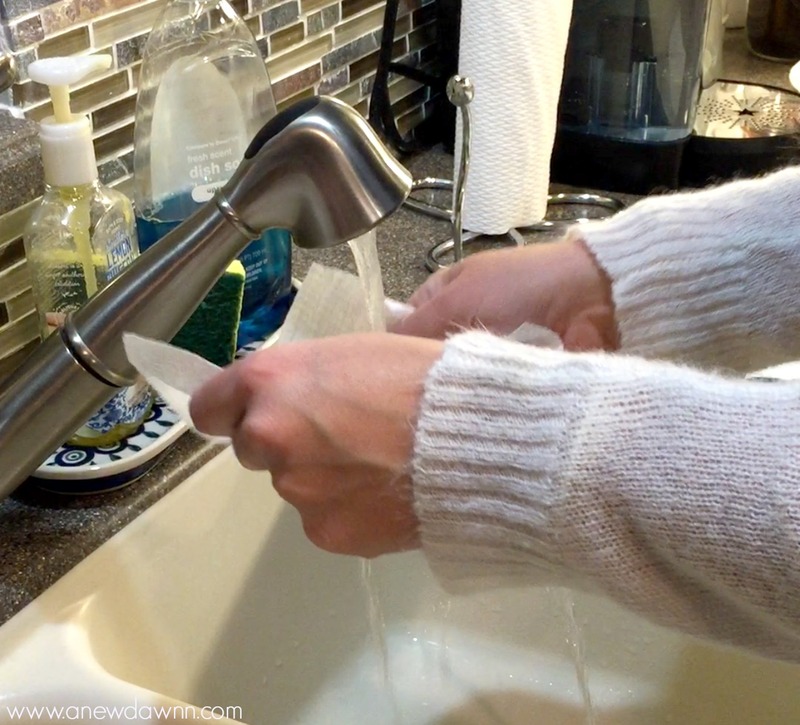 I’ve scrubbed kitchen pans and counters without worrying about the towel breaking apart. In addition the scrubbing power, the absorbency is amazing. I felt like I had the strength of a cloth in a paper towel. 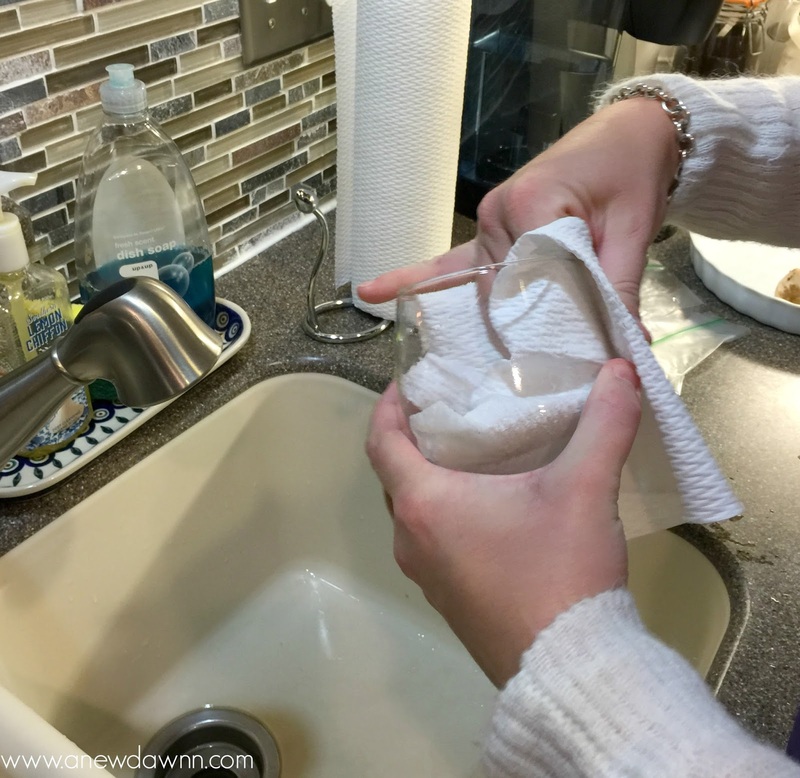 I’m actually using less paper towels for the same messes which saves me money! 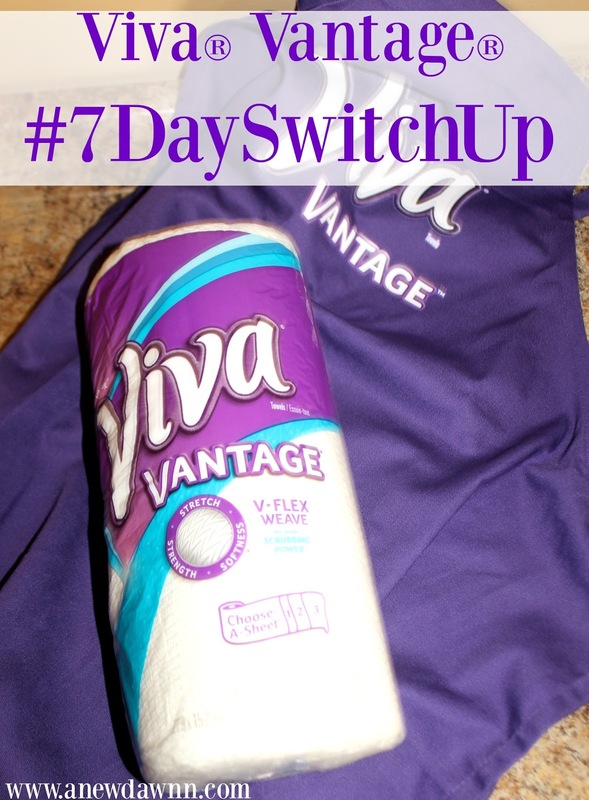 Viva® Brand wants you to try the “7-Day Switch Up” in your home. CLICK HERE to print out a coupon for Viva® Vantage® to them for yourself. Try them for 7 days and after you experience all the stretchy-strength and scrubbing power goodness for yourself, return to the website to dish on your switch. You could instantly win a $100 gift card ! Here are some Switch Up ideas you can try at home. I’ve personally tried each of these with fabulous results. Ditch your bulky colander in favor of a paper towel. Place veggies and fruit on a sheet of Viva® Vantage® paper towels under a running faucet to function as a strainer. The stretchy-strength will keep the towel intact when wet. Keep lettuce fresh longer by wrapping a paper towel around a head of lettuce to soak up etra moisture. Need to chill wine quickly? No need to dilute with with ice, simply wrap a damp paper towel around the bottle and put in the freezer to chill rapidly. Slip a damp paper towel under your cutting board to prevent it from shifting while your slicing and dicing. Need to clean up the grime off your stove? The great scrubbing power of Viva® Vantage® paper towels allows you to clean the toughest messes and restore your kitchen’s shine. Here’s a quick video of me using Viva® Vantage® to wash off a handful of grapes. The stretchy-strength keep the grapes from falling through the paper towel even while under running water! I made the switch and haven’t looked back! What 7-Day Switch up tip would you try first? This is a sponsored post written by me on behalf of Viva® Vantage®. All opinions are my own.